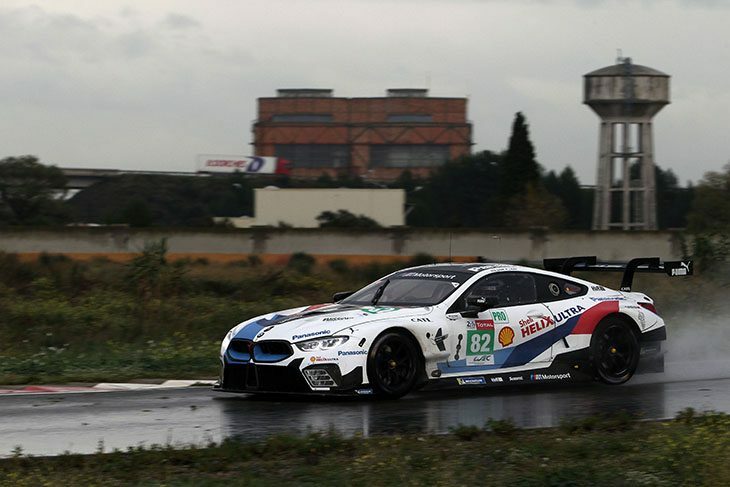 Alessandro Zanardi successfully completed his first test in the BMW M8 GTE this week in preparation for the 2019 Rolex 24 Hours at Daytona in January. 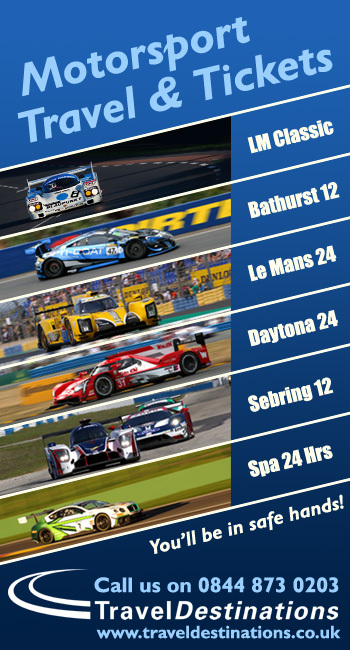 Alex spent three days with the BMW M Motorsport crew testing at Miramas in the south of France. 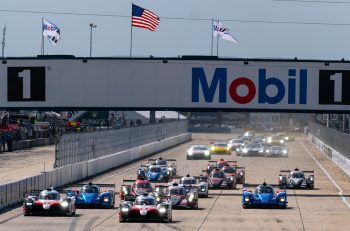 Although rain meant the conditions were not ideal, Zanardi was still able to complete almost 700 kilometres over the course of the test. Zanardi used the test to familiarise himself with the BMW M8 GTE. 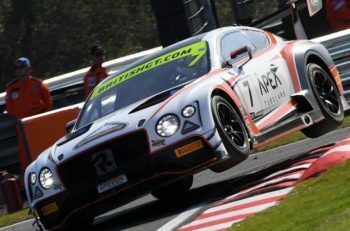 At the same time, BMW M Motorsport was able to evaluate how the modifications, developed for his special needs, function in a GTE racing car. 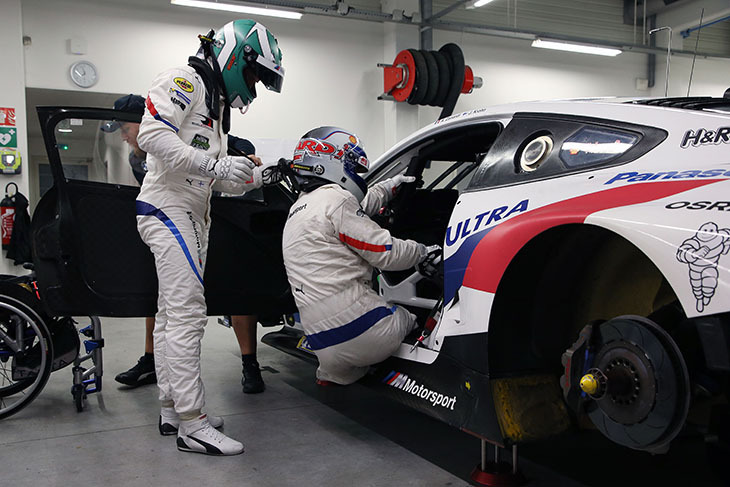 Zanardi uses the same system in the BMW M8 GTE that has already proven itself on his guest appearance in the BMW M4 DTM at Misano and has been adapted to the requirements in the BMW M8 GTE. Braking is performed using a lever, which he operates with his right arm. The special steering wheel allows Zanardi to accelerate using a ‘gas’ ring and to change gear using shift paddles. The gas mechanism at the steering wheel, proven in DTM, has been adapted to the much more complex steering wheel in the BMW M8 GTE. The brake lever also has a button, with which Zanardi can shift down through the gears when braking into corners. Based on the knowledge gained at Misano, the system has been optimised for the BMW M8 GTE. Another part of the test programme was the driver changeover, as Zanardi will share the BMW M8 GTE with other drivers at Daytona. Zanardi practised the procedures with BMW works driver Jesse Krohn at Miramas. Also at Miramas was Nathalie McGloin, President of the newly-formed “FIA Disability and Accessibility Commission”. 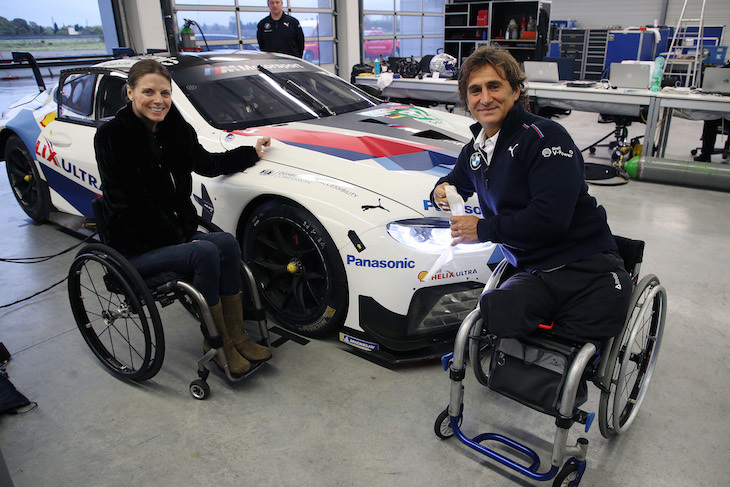 She used the visit to speak to Zanardi and BMW M Motorsport about opportunities for physically impaired racing drivers. BMW M Motorsport is working closely with the FIA, ACO and IMSA to gain approval for a car adapted to Zanardi’s needs for GTE races.